I spent the first part of my adult life purchasing cheap to moderately expensive blenders figuring they were all about the same. I spend the second part of my adult life cursing said blenders and wondering if I was using them wrong or if they were simply hunks of junk. I’ve spent the most recent part of my adult life marveling that a blender could be such a life changing experience. Silky smooth purees, decadent soups, creamy ice creams and sorbets…all with the flip of a switch and 30 brief seconds. 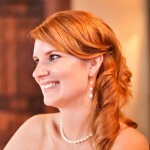 For this girl, there is no other blender that can possibly compare to the Vitamix. Vitamix is expensive. There, I said it. Now let me tell you why it’s worth it. If I add up all the crappy blenders I bought in the past, I’ve certainly spent a few hundred dollars. And all the while I’ve been annoyed with the quality or ability to achieve my desired results. Since I’ve had my Vitamix (2012) I’ve had nothing but positive experiences to the point where still today I’m pleasantly surprised when I use it. The machine is heavy and durable. The motor inside must weigh at least ten pounds and when it’s running, you can feel and hear the power. Does that mean it’s a tiny bit loud? Sure! But if you want something that can crush a golf ball in less than a minute then a little noise should be expected. 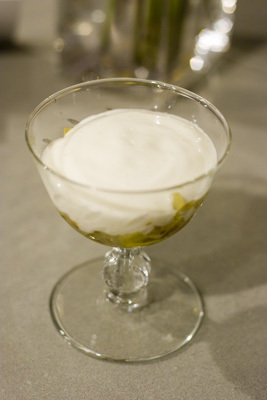 Anything you could conceivably want to blend into a fine puree can be handled by the vitamix. No matter what the solid state of what I put into the machine, a silky smooth outcome is assured. Another great feature of the Vitamix is the level of control. It has a variable level allowing you to move from slower to faster and then a ‘turbo’ feature which puts the machines on the highest setting. The Vitamix prefers being on the highest setting, so I’ve not used the variable levels much. One other interest feature is the heating capability. The power of the motor generates enough heat to warm up soup leaving you even more time. Clean up is really a breeze. Just fill the machine with some soap and hot water and blend on the highest settings for a minute. 99% of the gung will be removed with their only occasionally being a bit of residue left from particularly starchy uses (potato puree). The most difficult decision with the Vitamix is which to choose. You can see all the varieties and options here. I personally chose the Vitamix 5200 as the capacity is larger than some of the other models and it had a warranty. 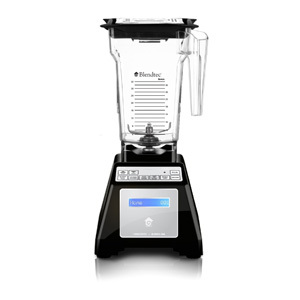 Blendtec is the other high capacity semi professional blender available for the home cook. In all honesty I do not own this brand nor have I ever used one. The information here is gleaned from extensive online research. Much about these two brands is very similar. They both have models that are in the same price range $350 – $650 so cost shouldn’t be a determining factor. They are both very powerful and hence are both significantly louder than your average blender. They both have containers that are lightweight, tough and made of BPA free plastic. The Blendtec does have a slightly more powerful engine than the Vitamix. There are many videos on YouTube that show the Blentec pulverizing iPads, golf balls, marbles, etc showing that it is more powerful. On the flip side, Vitamix has a faster RPM and more control at variable and slower speeds. But for the 99% of us who tend to use blenders for food desiccation rather than electronics, both will do the job nicely. Perhaps the greatest benefit of a Blendtec vs a Vitamix is the size and weight. At 6 pounds and 15 inches tall, the Blendtec is significantly smaller than the Vitamix which averages 13 pounds and 21 inches tall. Vitamix has introduced smaller versions, but I feel it’s at a detriment to capacity. What ultimately kept me from purchasing the Blendtec was the inability to easily change the blades should they get dull. When using for heavy chopping (ice, nuts, etc) invariably blades will dull. 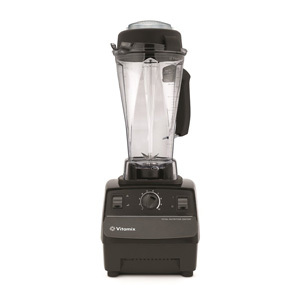 With the Vitamix, you can easily trade out the blades, while in the Blendtec they are fused to the jar as one piece meaning you need an entirely new jar to change blades. In the end, both are fantastic models and you can read more Vitamix Reviews here and more Blendtec Reviews Here. The only way you can go wrong is if you once again buy a cheap blender thinking you are saving money only to be disappointed in the long run. I hate to be the one to tell you this, but your reason for selecting the Vitamix over the Blendtec is wrong. At least for the Blendtec, the blades are not sharp and don’t need to be. The Blendtec uses high speed and momentum with hardened dull blades to pulverize food, not slice it. The blades won’t get dull because they are already dull! The blades never need to be changed. I personally own a Blendtec and not a Vitamix, and I’m happy with my choice. The Blendtec drawback was mixing viscous things like nut butters, but they fixed that with their new smaller jar with a lid that has mixing blades built in. Before that I agreed that Vitamix had an edge, but not any more. Thanks for the reviews – I’m about to purchase a chamber vacuum sealer.